Working in Folk theatre research for more than a decade, Khurram switched to documentary film-making to bring to the fore Indian arts and crafts which are on the verge of extinction. 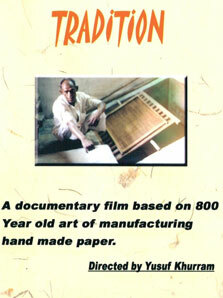 His documentary TRADITION was featured at the Mumbai International Documentary. Film Festival (India) and was nominated for the Best Documentary Award at Narrowsburg Film Festival (USA) and Television show-Lok Yatra, Yusuf has done a pioneering work to bring to light hidden and lesser folk art tradition of Rajasthan. Yusuf is presently working on a travel show for an international TV channel. Also he is working creatively in an International feature film, which is based on the tradition of Rajasthan. Location’s /Govt. permissions for shooting / Local Artists & prop’s etc. This is a rare pasteurized at Badnawa Village of Langa musicians.